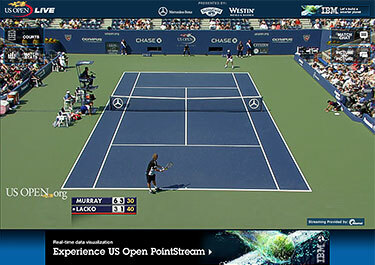 Reffkin Tennis Center - Tucson, Ariz. 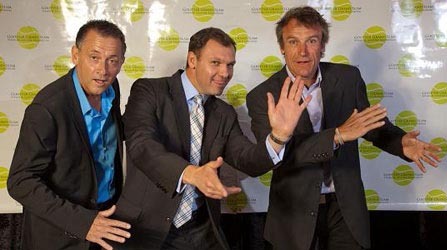 The Gootter Grand Slam is an annual tennis tournament and pro-exhibition drawing Tucson's top players and featuring matches between tennis legends. Named after Steve Gootter, an accomplished athlete, the event is held each spring. The yearly tennis event - held at the Reffkin Tennis Center - has become a showcase event for the Tucson tennis community and one of many events the Gootter Foundation holds each year. Music, food, and a wellness fair create a wonderful environment to play, watch and learn more about sudden cardiac death. A gala dinner kicks off the tournament, featuring foods from around the world, entertainment and a live auction. Tickets: $25/adult; $10/teen or $50 for a family of four (two adults, two teens). Kids 12 and under free. Entry includes food, drink, music, health/wellness fair, silent auction & great tennis! Steven M. Gootter Foundation - 2011 Gootter Grand Slam from Lyssa Holmes on Vimeo. This charity event, held at the Jim Reffkin Tennis Center, benefits Sudden Cardiac Death research at the Uof A Sarver Heart Center. This special tennis event will feature former Top 10 player and 1986 French Open singles finalist, Mikael Pernfors, 1992 French Open Doubles Champion Murphy Jensen, and new University of Arizona head football coach, Rich Rodriguez! 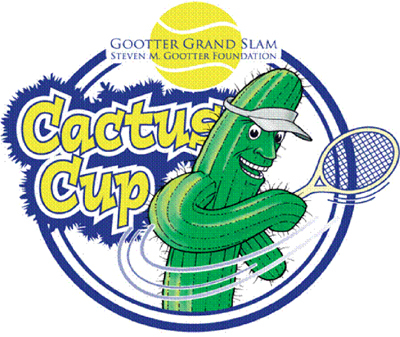 Players who participate in the Gootter Cactus Cup will receive a tournament T-Shirt that, when worn, will allow them free entry into the following Sunday's Gootter Grand Slam on March 25th. 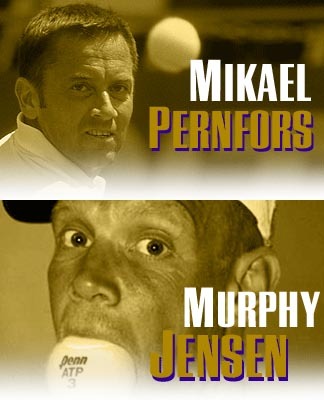 Mikael Pernfors, Murphy Jensen and Rich Rodriguez will be headlining an interactive celebrity doubles exhibition, followed by an action-packed singles match by the professionals. Entry into the event includes free food, drinks, music, great tennis and much more! Event starts at noon. Longtime participant Mats Wilander suffered a lacerated kidney at this year's Australian Open in a freak accident, and will not be able to play this year. The Steven M. Gootter Foundation is dedicated to saving lives by defeating sudden cardiac death through increased awareness, education and scientific research. We dedicate ourselves to this mission in memory of Steven M. Gootter. 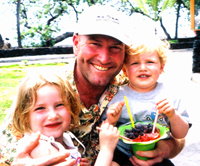 Stephen awas a loving father, husband and family man who dies of sudden cardiac arrest. He was also a passionate tennis player. Many of Arizona, Tucson and Phoenix's top businesses including Cox Communications, Phoenix Suns, and the University of Arizona Medical Group are supporting this terrific cause. Read more about Steven Gootter HERE. To learn more about the Gootter Foundation, click HERE. Read more about the Foundation's efforts to have more than 500,000 Tucsonans trained to perform CPR as part of their "Be a Lifesaver" campaign.